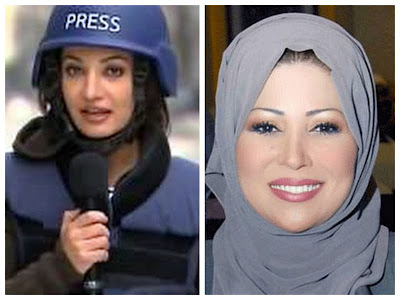 Aljazeera TV anchorwoman Ghada Owais publicly complained today of being the victim of social network abuse, denying any connection to social networking accounts bearing her name. A million dollar bounty on the head of Syrian President Bashar al-Assad was recently publicized on fake Facebook and Twitter accounts ascribed to her. In many cases, high-quality Twitter and Facebook accounts are nearly impossible to discern from the real thing. The 35-year-old Owais, who is Lebanese and read mass media at the Lebanese University, joined Aljazeera TV in 2006. Her Algerian colleague at Doha-headquartered Aljazeera TV, Khadija Bengana, was subjected to similar social networking abuse last January, when automated false accounts bearing her name carried statements lauding the "humanity" of Adolf Hitler, glorifying Nazism and calling for holy war against Israel.